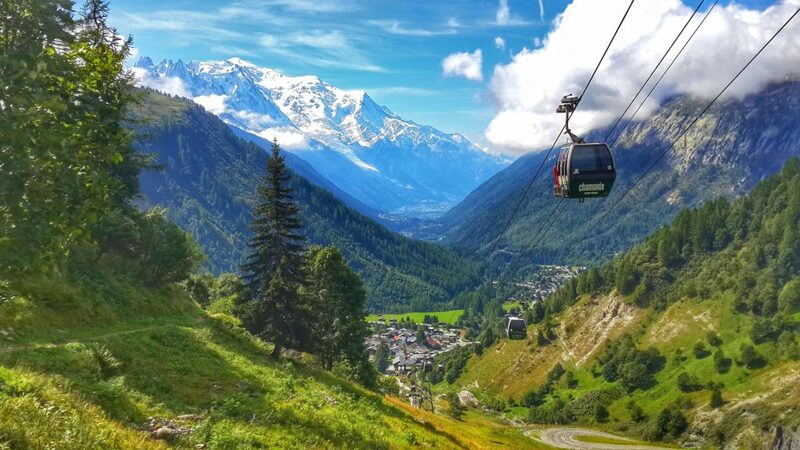 FRANCE OFFERS A WIDE VARIETY OF HIKING FROM THE ALPINE REGIONS AROUND CHAMONIX TO THE SOUTHERN CLIMES NEAR THE PYRENEES. Chamonix is the doorway to the wonderful tour do Mont Blanc which brings you from Chamonix, France down into Italy up into Switzerland and returning to Chamonix. This is one of the great hut to hut adventures of the French Alps circling Europe’s highest mountain and encompassing three different countries. The southern village of Gavarnie offers a trail in the Pyrenees entering the Pyrenees National Park with a multitude of wonderful trails and leading into Spain. Probably one of the most memorable experiences when hiking in France is French food. Famous worldwide for its delicate and distinctive combinations of flavors, French food is always high on the list of anyone visiting a new country and wanting to experience something truly unique. France also offers the variety of temperatures from the Alpine snows near Chamonix to the warmer climate of the Pyrenees.